2/3 and card draw (I think you're getting 1 or 2 at least) for 2 mana? This expansion is sick. Shaman murloc is ready to slap some butts. This minion is just broken in quest shaman (wild). It gives insta refill and has a good stat line. The power-level of this expansion is huge. In standard this is also very good. It enhances aggro shaman by a great margin. This is a very strong card. Murloc has always struggled with reload. Murlocs a control archetype now or what? It might be a strong card, but I don't like it. Now, this time it's Shaman instead of Paladin who receives all the good Murloc support. Do I smell the return of Aggro Shaman? This card is even more of a MUST KILL for your opponent than the recently revealed Legendary! Insane. This card can single-handly make a comeback for Murloc Shaman. Game winning in many cases. Meta Defining. Murlocs can generate value now? And not only quick board pressure?! Pretty sure this is the strongest card of the set. 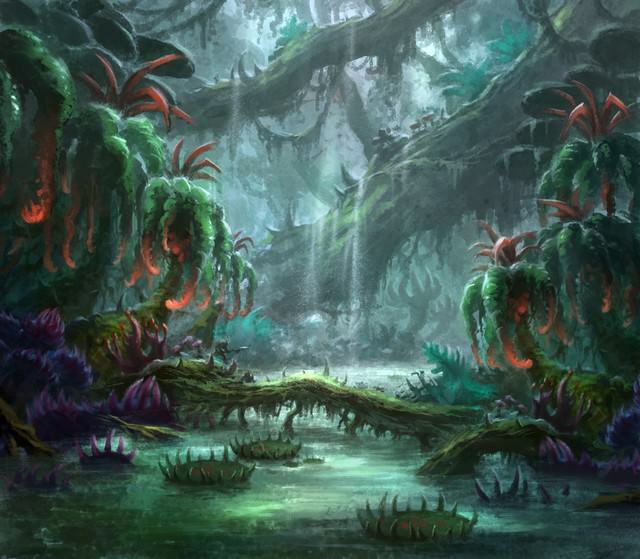 I will be incredibly surprised if murloc shaman isnt tier 1 this expansion. "Stampede" for murlocs, attached to a minion, that can survive an the following turn keep being an stampede. Broken by itself, byt depends on how good are control or other aggdro decks. So we are done with giving Shaman garbage murlocs over the years and finally going all in with actually good murlocs huh..
meta defining murloc shaman looks really solid. There's also the echo murloc.. angler something. Combine with the Murloc legendary and for 10 mana you get 6 murlocs out, guaranteed. 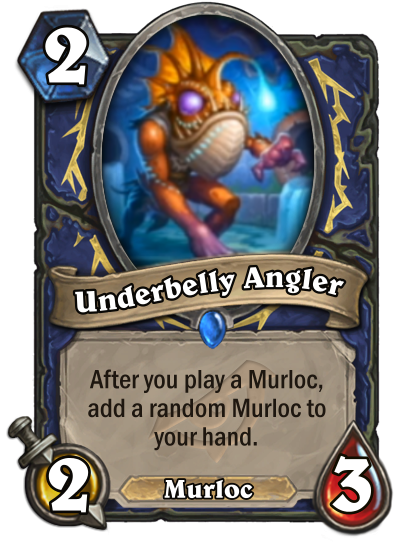 I'm not a fan of murlocs being specific to a certain class. They were more fun when they were neutral only. Card is obvious insanely strong. Shaman Looks realy strong. Murlocs are cheap, so they are a perfect fit for an effect like this. Given that Murloc decks are aggressive, too, this should keep me from running out of cards too early. Notably, Ghost Light Angler still exists, so if you have Scargill + this on board, you can generate a lot of value. I don't think that's all that great a combo, but it's there. Absolutely disgusting. Year of the murloc?